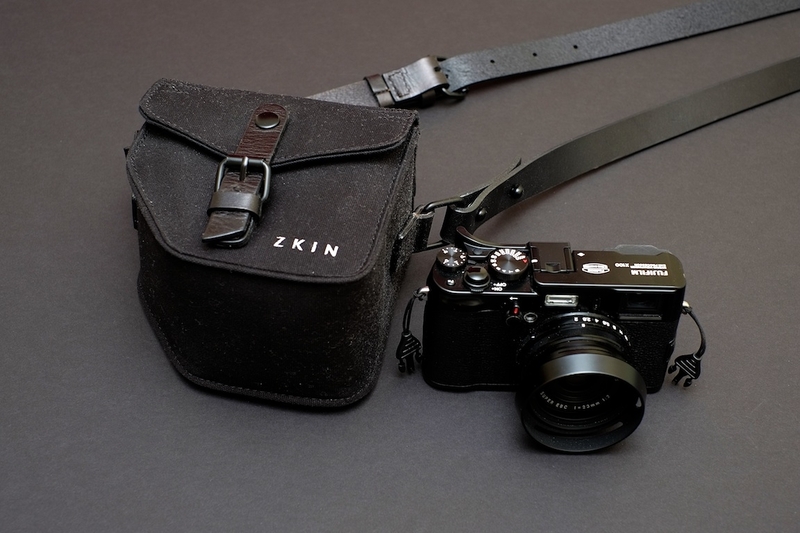 As you readers of this blog know I have a penchant for camara bags and I recently came upon another great brand of bags – Zkin. The Zkin bags are made in Hong Kong and are built to last. So I decided to the get the black version of the Mothman which on the pictures looked totally cool and perhaps it could be the perfect little photowalk bag for X100/s. The question now becomes where does this litte bag fit into my lifestyle. That’s a simple one to answer. You know the times when you’re walking out the door and wish you could take your Fuji X100 or Fuji XE1 out for a walk, perhaps you’re running some errands with the lady of the house or girlfriend and you need something small, discrete, and I must say quite nice looking as well. Well the Zkin Mothman fits that mold perfectly. Its made out of water splash proof canvas with an adjustable leather strap and a black buckle that just exuded great craftmanship. Inside of the bag are two little pockets on the flap part that easily hold a cleaning cloth for your lens and an extra battery or two extra batteries without any issues. Yes, its that simple, its a minimalist bag with a lot of character. I’ve taken it out a few times with my X100 LE and also the XE1/X-Pro 1 and its perfect. I particularly like the extra matieral it has when you close the flap so things don’t go in from the side, a nice touch in my opinion. Based on my experience this bag holds the X100/s with the original hood perfect, no quibles here folks, its perfect. Since I have the protector filter I’m not that worried about removing the lens hood and putting on the lens cap. I can live with that just fine for the times I’m out and about. As a matter of fact, those two little pocket are quite deep and I’m glad to report you can fit the lens cap or lens hood in there instead of a battery if you’d like. So there it is folks the Z-Kin Mothman ready for action.